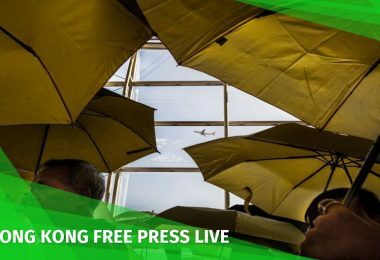 Legislative Council election candidates from the pan-democratic camp have refused to sign a new form asking them to declare that Hong Kong is an inalienable part of China. 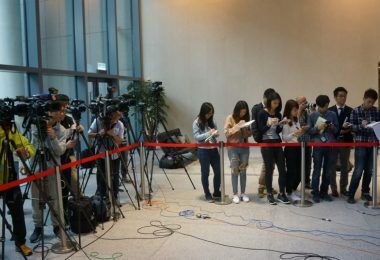 Apart from confirming that they will uphold the Basic Law and pledge allegiance to the Hong Kong Special Administrative Region in the original nomination form, candidates are now required to sign a new confirmation form with three specific articles of the Basic Law on China’s sovereignty over Hong Kong. The new declaration was seen as a measure to target independence advocates. 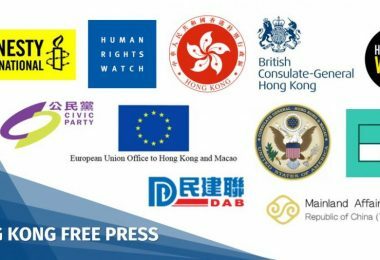 But most pan-democratic candidates who did not support Hong Kong independence have so far refused to sign it, saying that it has no legal basis. 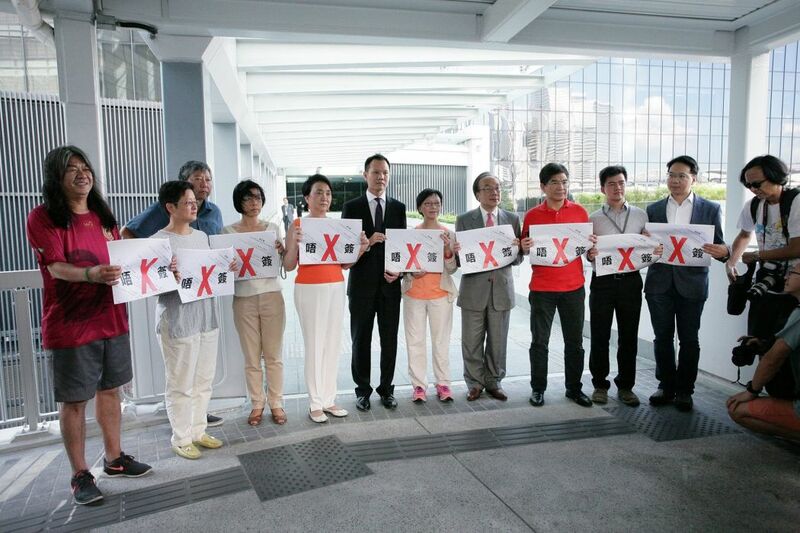 Pan-democrats holding signs saying they refuse to sign. Photo: Facebook/Dennis Kwok. Chairman of the Electoral Affairs Commission Justice Barnabas Fung Wah has not given a straight answer as to whether candidates will be disqualified if they refused to sign the declaration. The pan-democrats met with Fung on Tuesday to discuss the form. After two days of deliberation, they held signs on Thursday saying that they would not sign the new confirmation form. 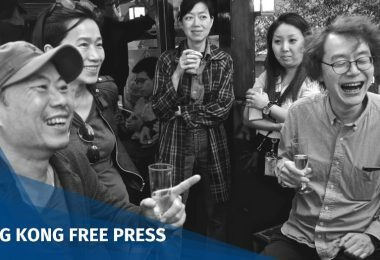 Legal sector lawmaker Dennis Kwok Wing-hang, who will be running for re-election, said the form does not have a legal basis and could create political censorship. He said he did not believe returning officers could judge whether candidates were truly upholding the Basic Law on the basis of the confirmation form. Kwok added that it may create “a destruction in principles” if candidates signed the form, as authorities may ask candidates to sign other kinds of forms afterwards. 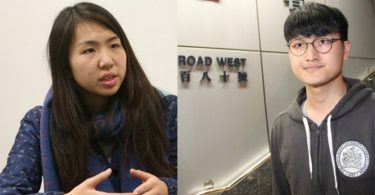 Some localist candidates advocating independence, including Hong Kong Indigenous’ Edward Leung Tin-kei and the Hong Kong National Party’s Chan Ho-tin, have refused to sign it. 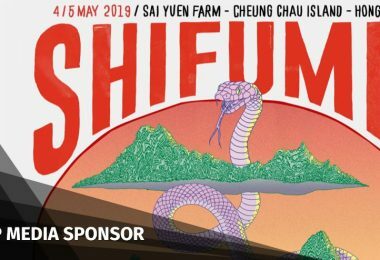 Alvin Cheng Kam-mun from Civic Passion, who also advocates independence, has signed the form. 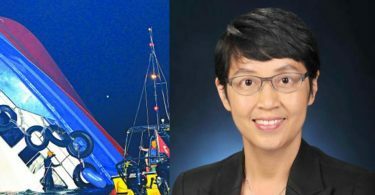 Another member of his party Cheng Chung-tai said on a radio programme on Thursday that he will sign as well, claiming that signing was an act of civil disobedience. Jasper Tsang Yok-sing. Photo: TVB screenshot. 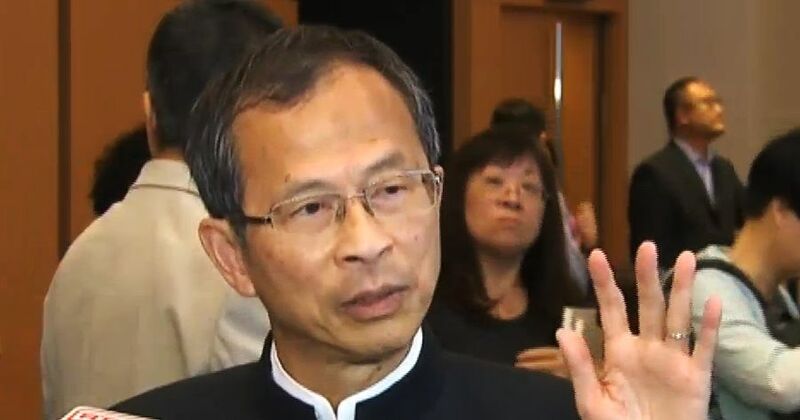 But LegCo president Jasper Tsang Yok-sing said the confirmation form did not create new requirements for candidates, TVB reported. “[Candidates] already have to declare that they will uphold the Basic Law – picking some articles from the Basic Law for them to confirm did not add any new requirements,” he said on the sidelines of his book launch. “If you cannot accept that Hong Kong is a part of the People’s Republic of China, I think you should consider not running in the election,” he added. Asked whether candidates should be disqualified if they advocate Hong Kong independence, Tsang said that there was a political and a legal side to the issue.